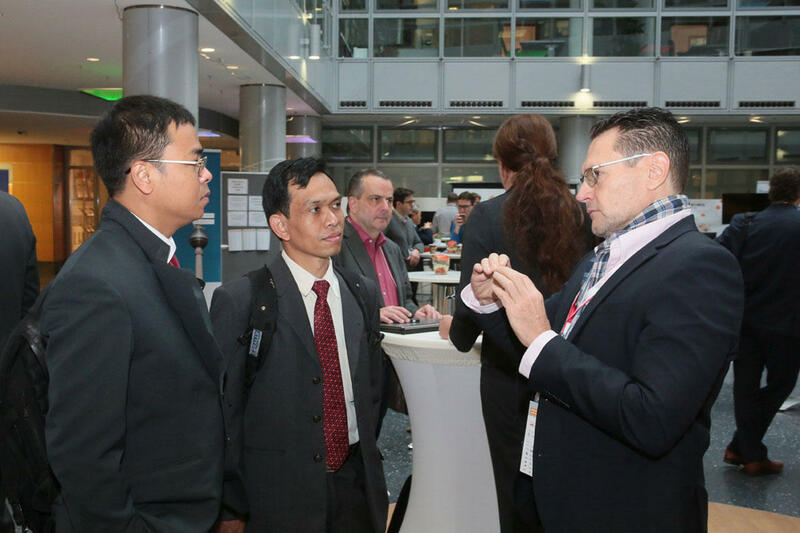 The 7th FOKUS FUSECO FORUM (FFF) themed "Understanding 5G Application Drivers and Technology Evolution towards Softwarized 5G Networks" took place at the end of the week on November 3rd and 4th, 2016, representing the anchor point of this event week. Again, also this year more than 220 experts from 32 nations attended this intense two-day event. 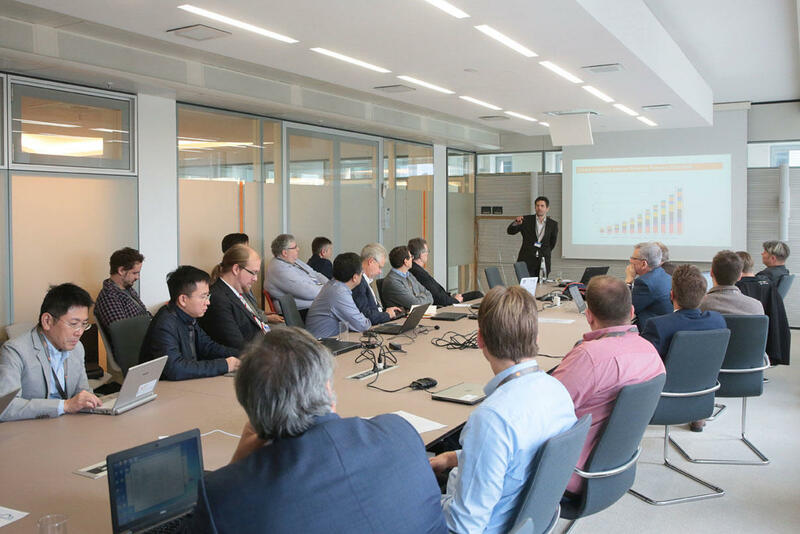 As usual the event was organized in three complementary parallel tracks (5G access network, 5G core network and platform, Industrial Internet) starting with three tutorials and followed by three interactive workshops in the afternoon. A get-together on Thursday evening united the different expert groups in the "Ballhaus Berlin" and provided a good basis for relaxed networking. 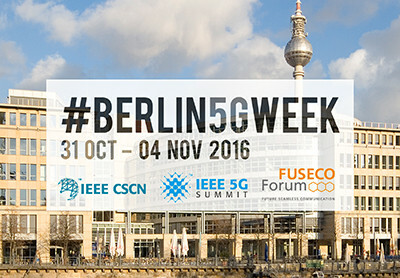 Michael Stamm from Berlin Partner, an organization of the city of Berlin enabling business development, presented an overview of the start-up community in Berlin which is considered of high relevance for developing and using emerging 5G technologies and services in the city of Berlin. 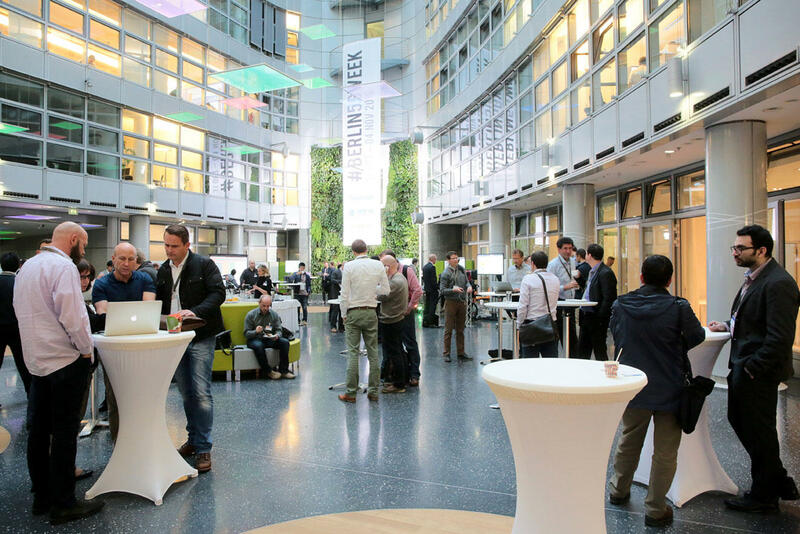 In addition, Berlin Partner has acted as an interface to the local start-up scene and performed a small beauty contest for 5G-related start-ups. 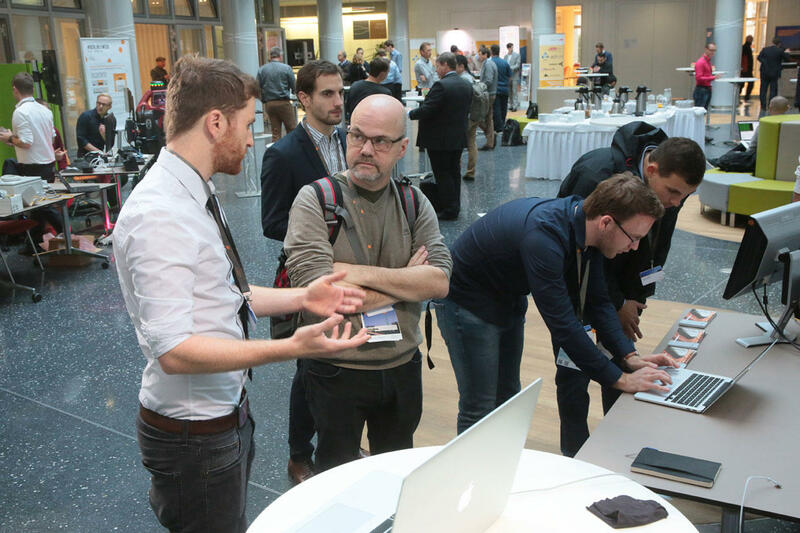 Five of them were selected to show their product ideas at FFF, namely BISDN, Comodule, Core Network Dynamics, Flimme.org, and Sensorberg. 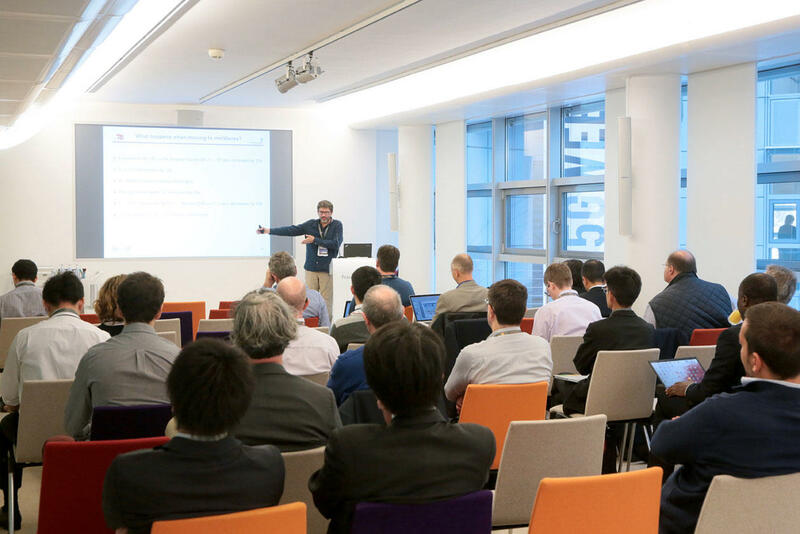 The 5G access network track started with three comprehensive tutorials by Prof. Giuseppe Caire (Technical University Berlin, Germany) about millimeter-wave and massive MIMO technologies and by Dr. Abdellatif Zaidi (Huawei R&D Center Paris, France) about massive machine-type communications (mMTC) and required access schemes, and by Dr. Thomas Haustein (Fraunhofer HHI, Germany) about mission-critical communications that need both low latency and ultra reliability. 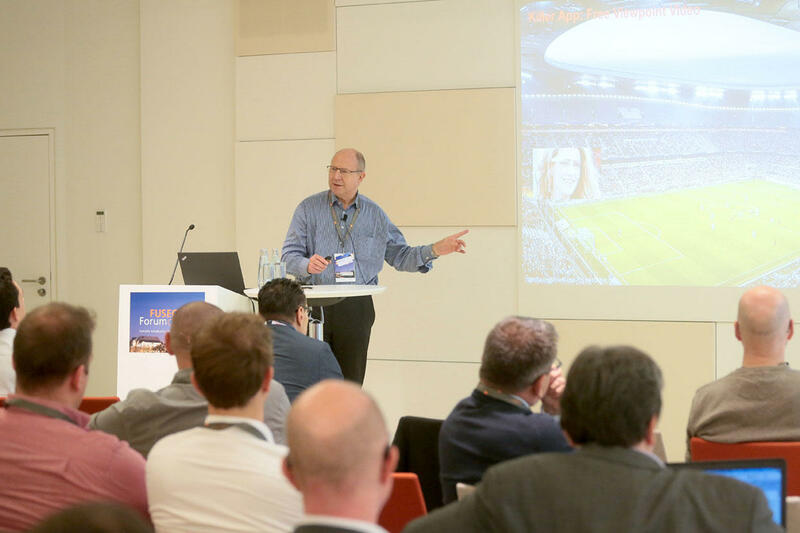 These three tutorials inspired the audience to understand the technical background needed for 5G access networks. 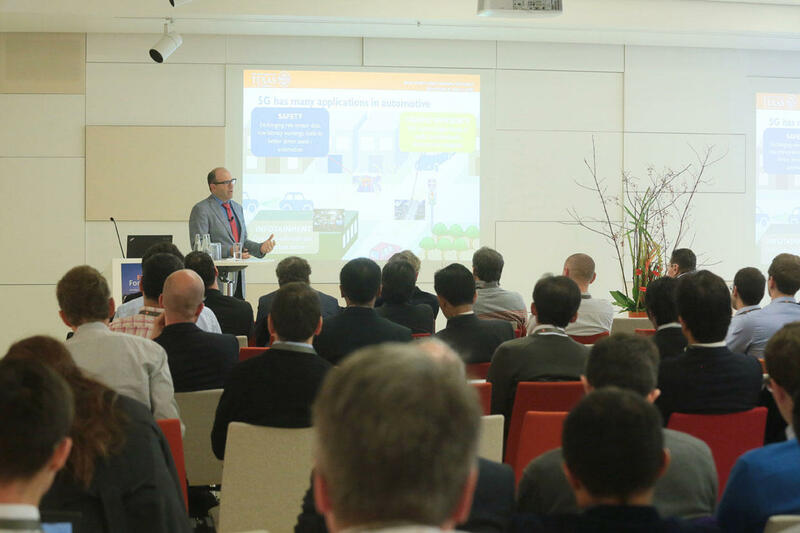 The 5G access network track went to a technical workshop in the afternoon with two serial sessions. 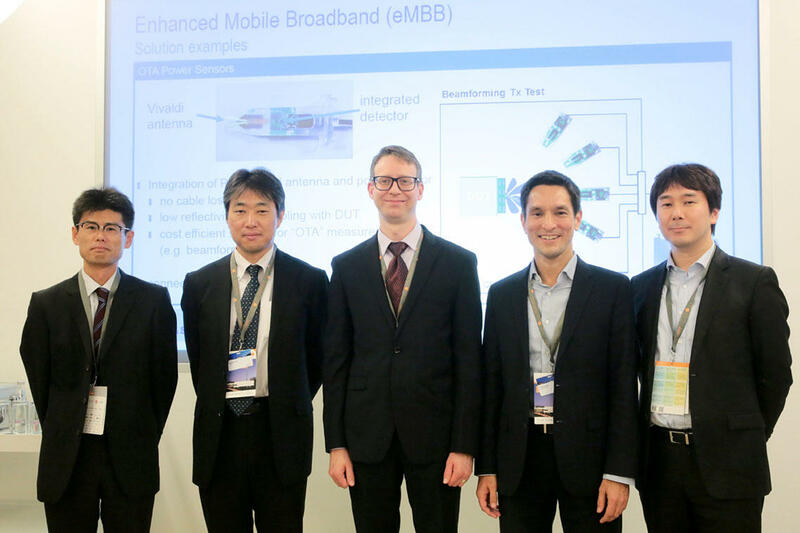 In the first session the latest prototyping works as a Proof-of-Concept (PoC) of 5G phase 1 were addressed by five vendors: Ericsson (Björn Halvarsson, Sweden), NEC (Naoto Ishii, Japan), Huawei (David Wessel, Canada), Fujitsu (Hiroyuki Seki, Japan), and Rohde & Schwarz (Taro Eichler, Germany). 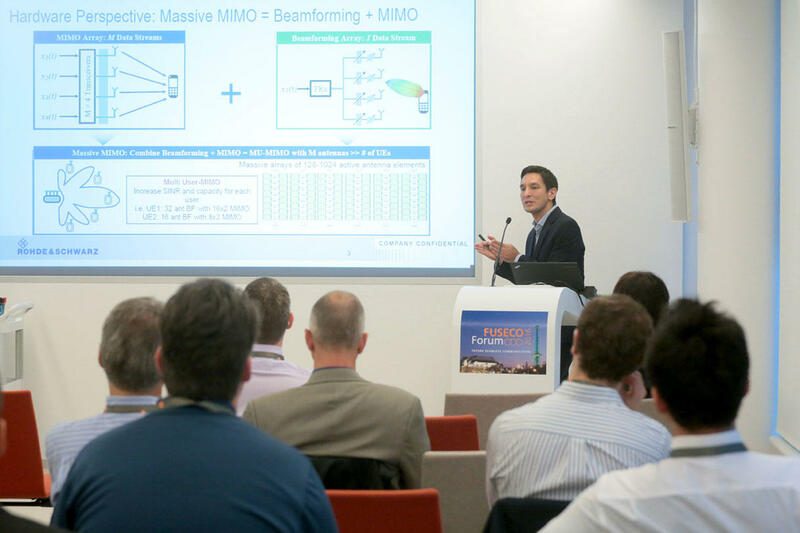 They showed field evaluation results using millimeter-wave and massive MIMO technologies meeting with the requirements of 5G KPIs. The design and evaluation tools for integrated massive MIMO antennas were also exhibited. 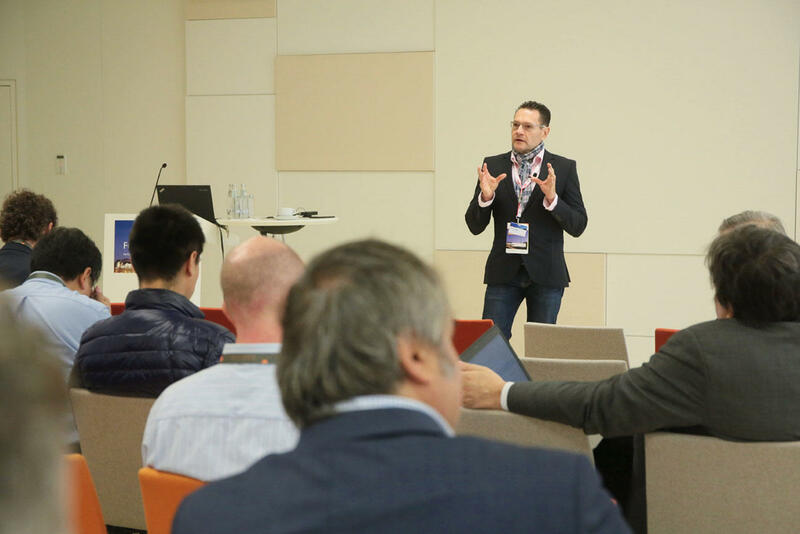 In the second session the main focus was shifted to 5G phase 2 to discuss integration of millimeter-wave and mobile edge cloud to enable 5G-specific applications that need both ultra high data rate and low latency. 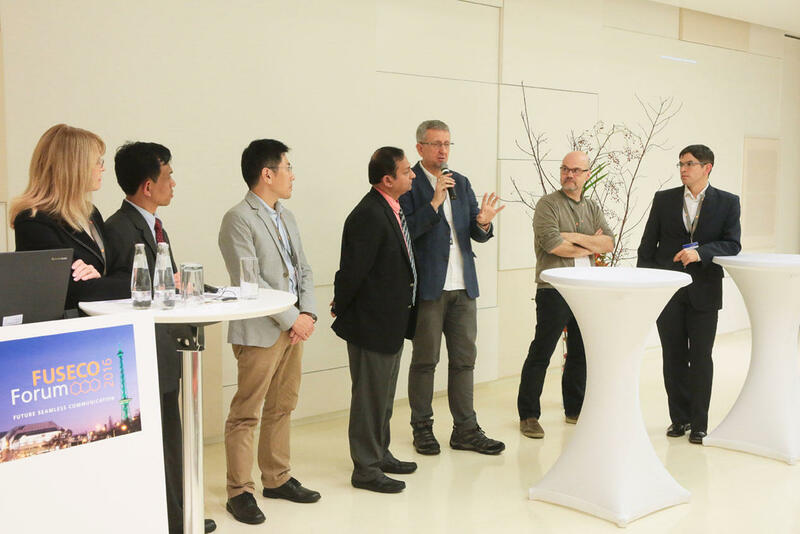 The five talks were given by Panasonic (Koji Takinami, Japan), Tokyo Tech (Gia Khanh Tran, Japan), KDDI Research (Katsuo Yunoki, Japan), and Intel (Valerio Frascolla, Germany) to stimulate new challenges toward 5G-oriented ecosystem. 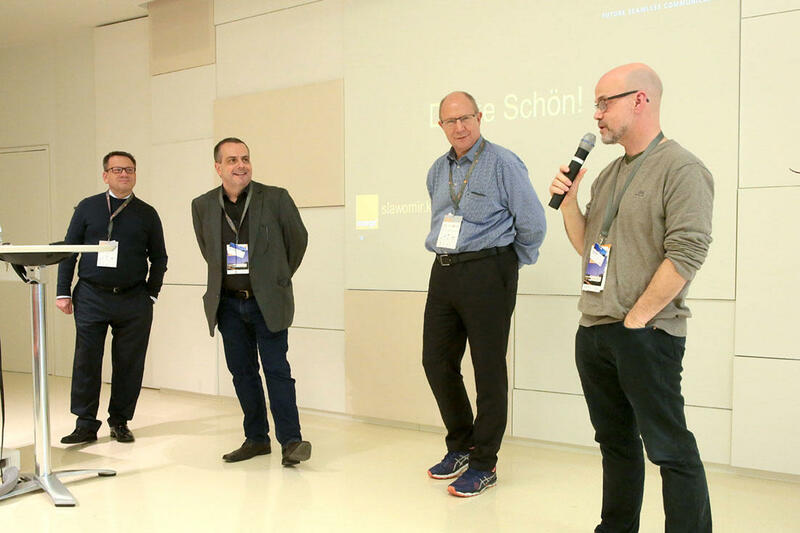 As the last part a big panel discussion was held by inviting all speakers from sessions 1 and 2 as panelists. 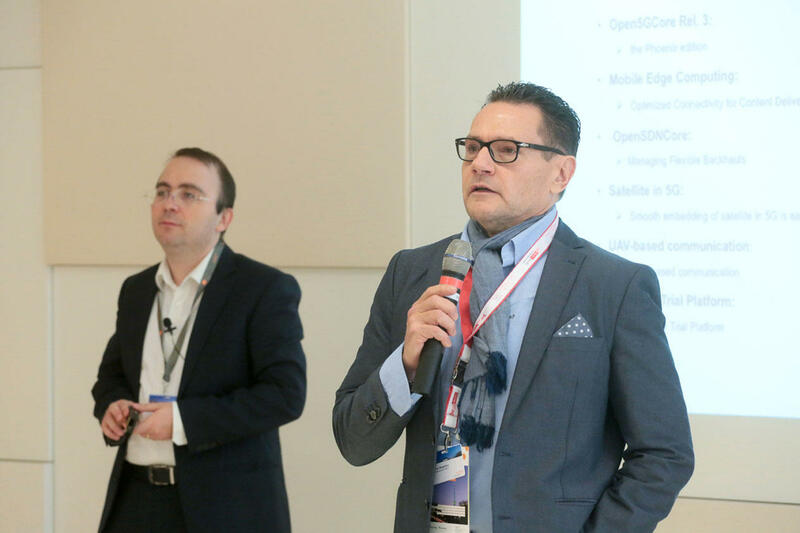 They discussed with the audience practical deployment strategies of 5G RAN using millimeter-wave and massive MIMO technologies with tolerable CAPEX/OPEX. They also pointed out the need for location and application-specific deployment of 5G RAN that must be integrated with mobile edge cloud. 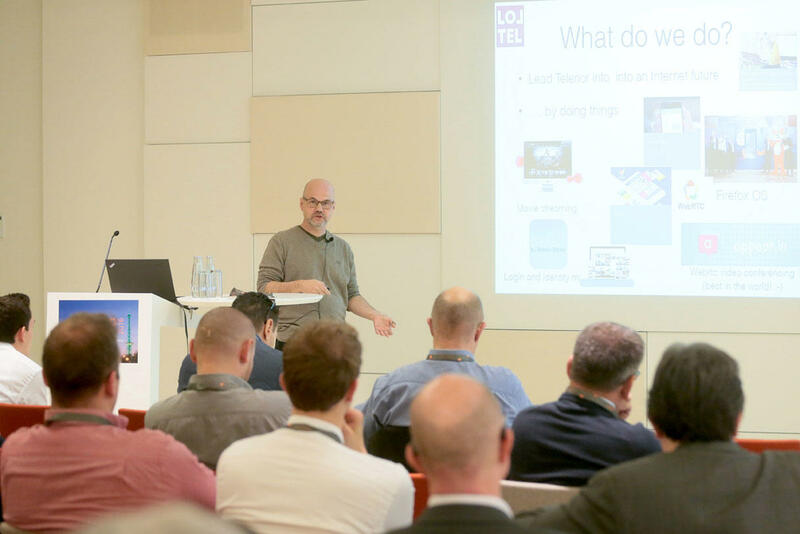 Track 2, themed “Software-based 5G Core and Service Platforms”, started with a comprehensive tutorial given by Dr. Marius Corici and Giuseppe Carella, providing an overview of the transformation currently happening in the networking domain. 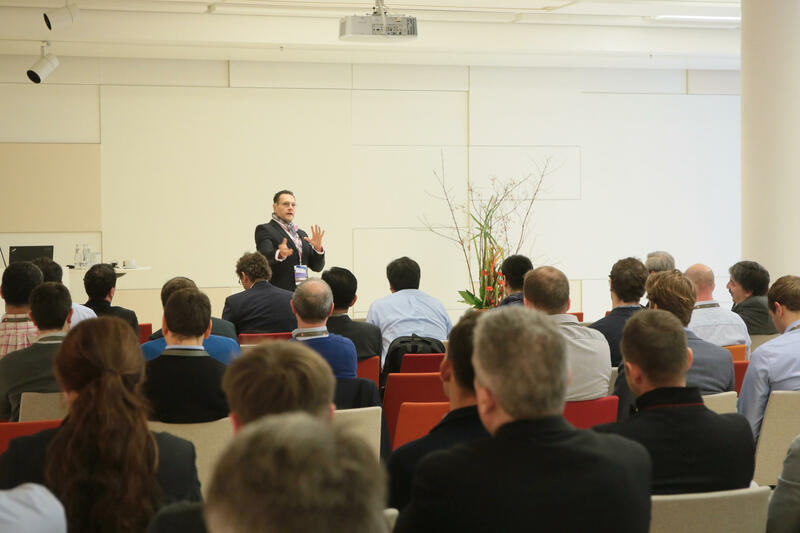 In particular, an overview from the core management, NFV, SDN, programmability and security was given to the audience in order to prepare for the second part of the day with more intensive discussions. 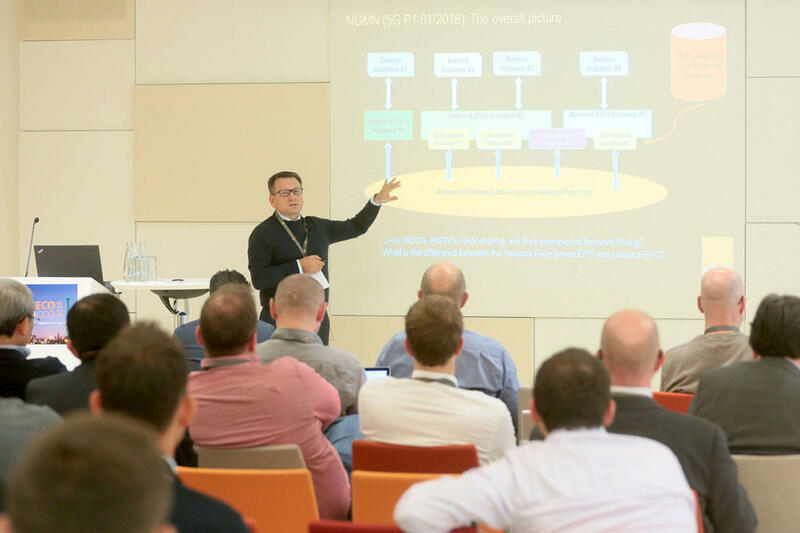 Workshop 2 was divided into two main sessions: One dedicated to building the 5G environment and one about the virtualization trend currently taking place in many different network operators' environments. 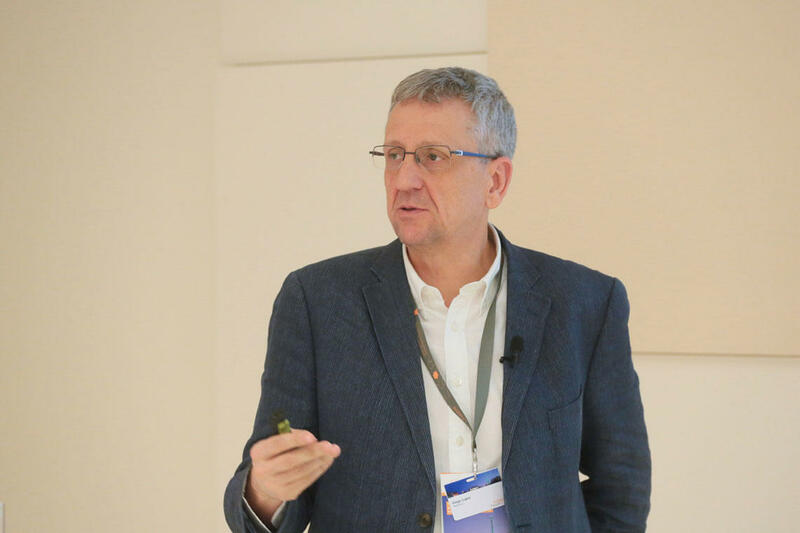 The second session was chaired by Bruno Chatras from Orange and Vice-Chairman of the ETSI NFV ISG. 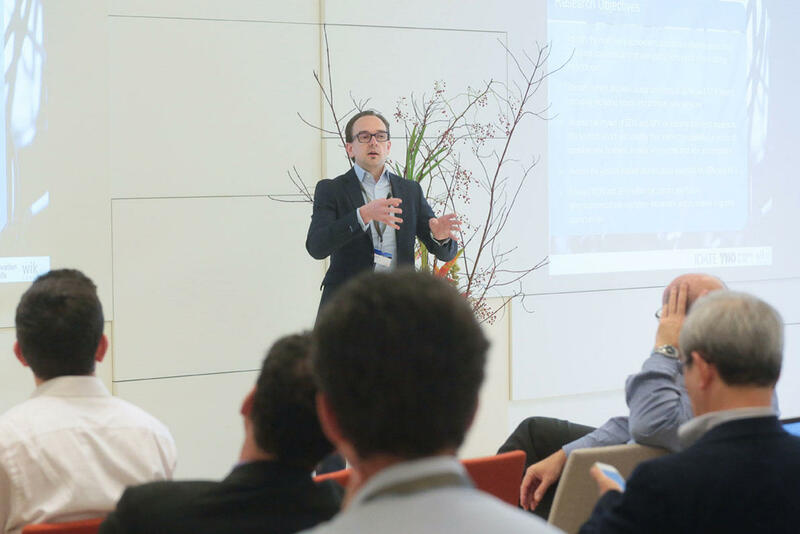 Dr. Andres Gonzalez from Telenor was the first speaker presenting the approaches taken by Telenor for reaching reliability of the Management and Orchestration elements. 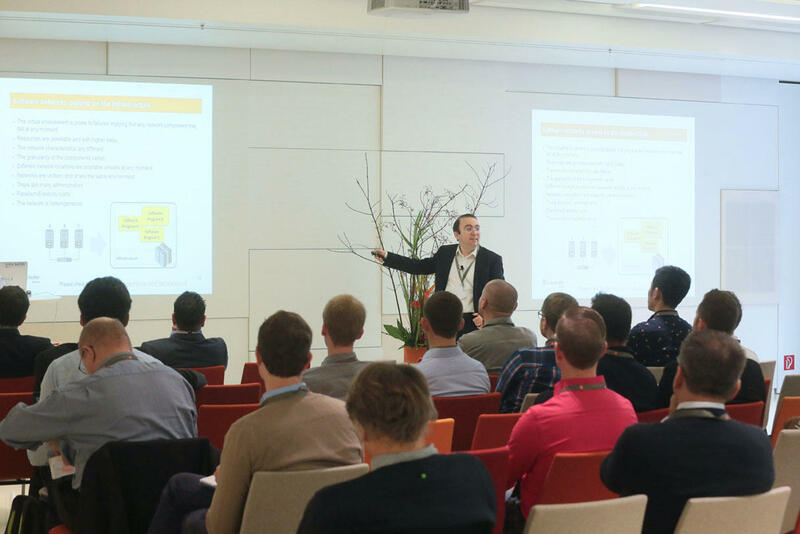 Andres explained that the Orchestrator is a crucial component in their network infrastructure and that it will be very important to find mechanisms for increasing its reliability over the whole life cycle. 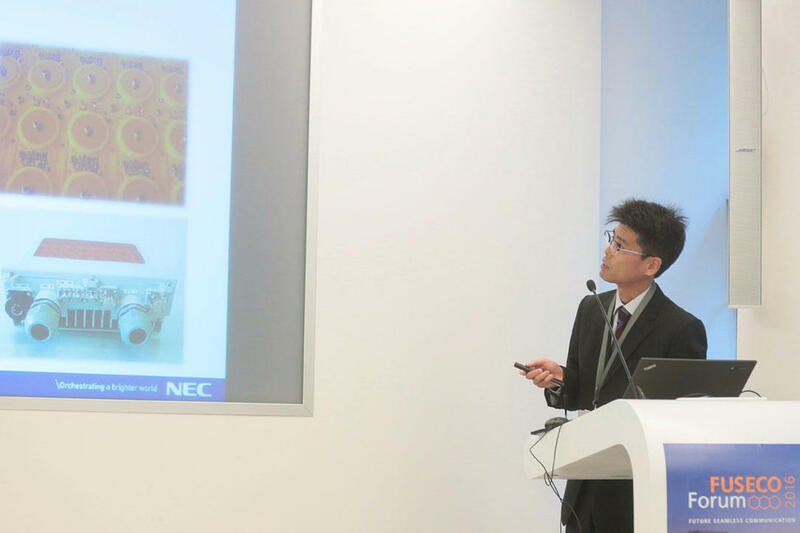 Eiji Kawai from the NICT Japanese laboratory introduced their SDN testbed for Future Network Applications. Eiji explained that their main goal is to accelerate research and development of information and communication technologies. Currently their main focus is on IoT applications. 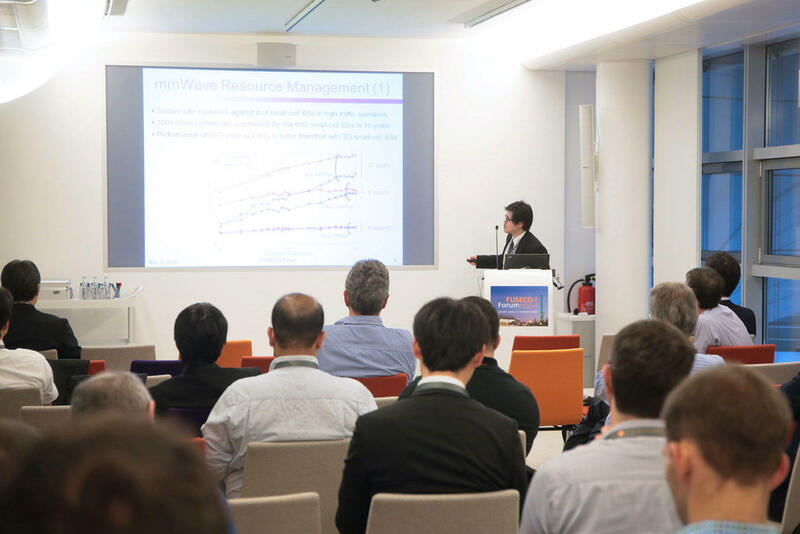 Eiji was followed by Dr. Diego Lopez from Telefonica Spain and Chairman of the ETSI NFV ISG, presenting their activities in Software Network Open Source projects. Diego underlined the importance of Open Source Software and especially collaboration between different entities. One aspect which is also important to consider is diversification: Having multiple available solutions for the same problem will reduce risks of single bottlenecks. 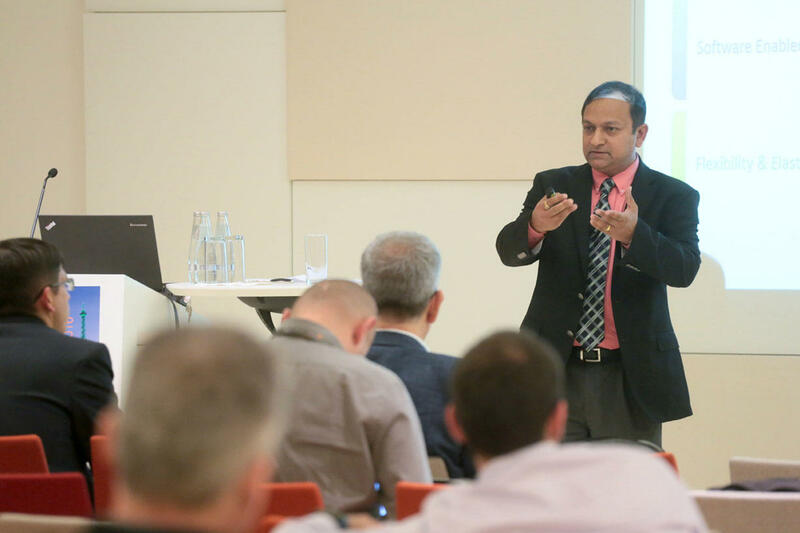 Dr. Ashutosh Dutta from AT&T introduced security challenges and opportunities in NFV environments. 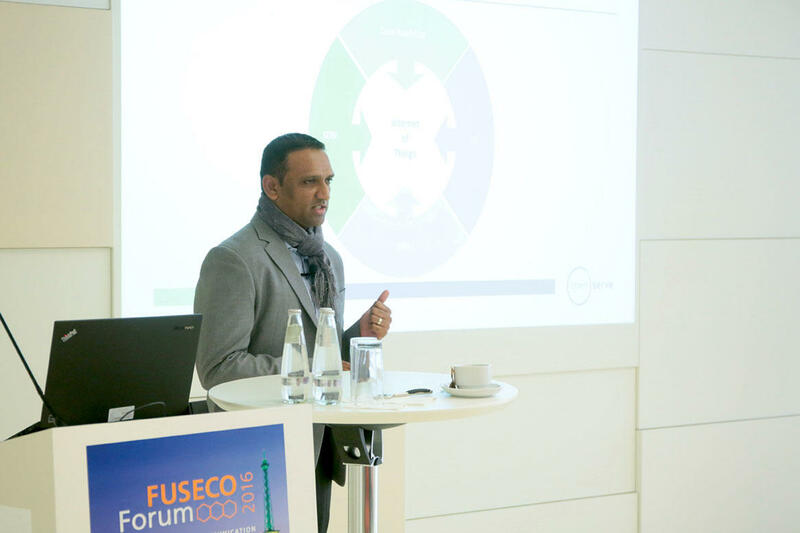 After a short introduction about the NFV benefits and use cases, Ashutosh focused on the impacts that virtualization technologies will have towards security. A multi-layer type of infrastructure will have many vulnerabilities that will need to be analyzed and mitigated. 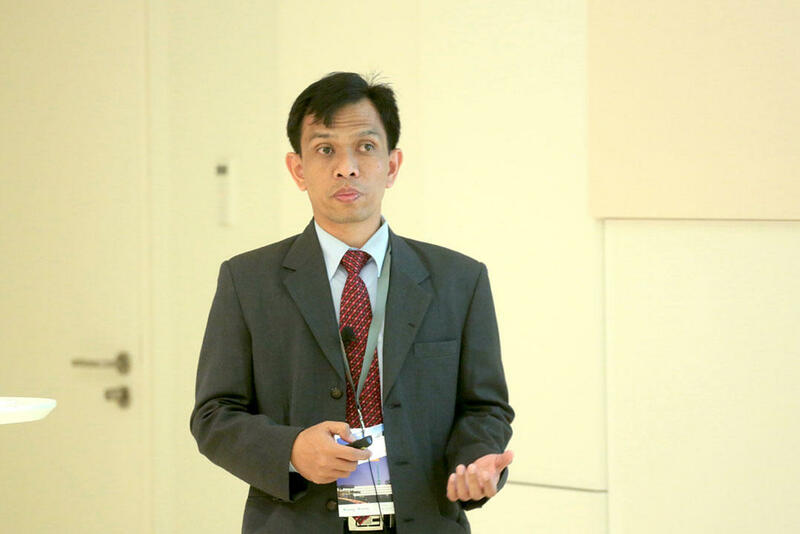 Angkoso Suryocahyono introduced TELKOM Indonesia's plans about the transaction towards NFV infrastructures, explaining what the challenges are from their perspective. Finally, Eileen Healy, CEO at Healy & Co, introduced goals and mission of the IEEE SDN Initiative she is currently co-chairing. She introduced the recently launched activities around a global catalogue of Open Source Toolkits and Testbeds and a live portal for federated testbed infrastructures. 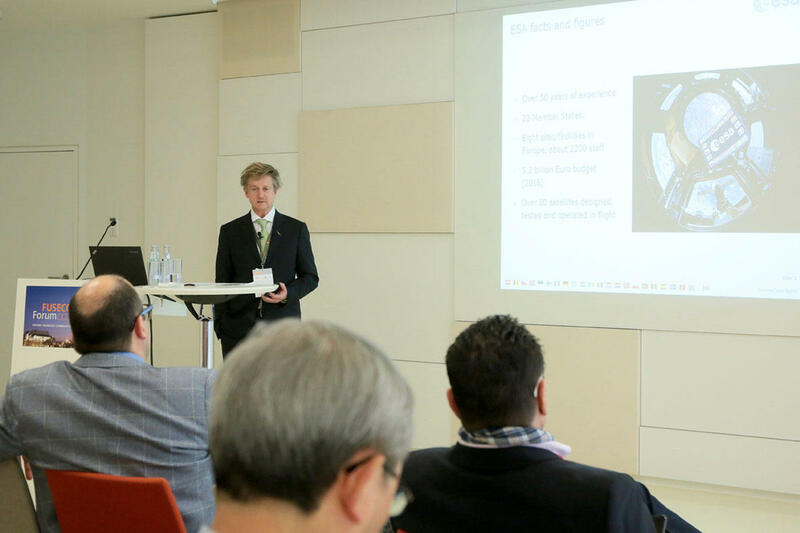 The 3rd track „5G & Industrial Internet Applications“ started with an in-depth tutorial „How the Industrial Internet of Things enables Future Smart Manufacturing/the Industrie 4.0“ provided by Dr. Alexander Willner (Fraunhofer FOKUS) and David Boswarthick (ETSI France). 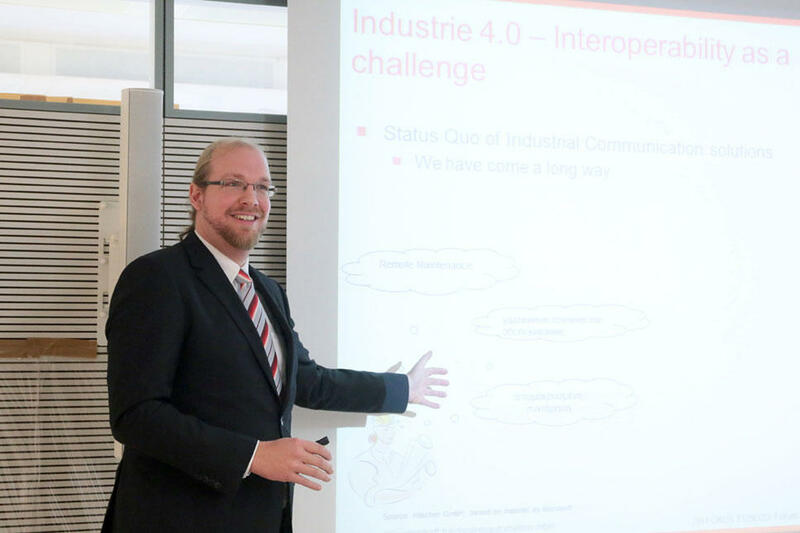 During the first part of the tutorial Dr. Willner provided an overview of Industrial Internet terminology, the “4th industrial revolution“ (German: „Industrie 4.0“), related alliances (Industrial Internet Consortium (IIC) and Plattform Industrie 4.0) as well as standards (oneM2M, OPC UA, DDS) and key challenges and drivers. 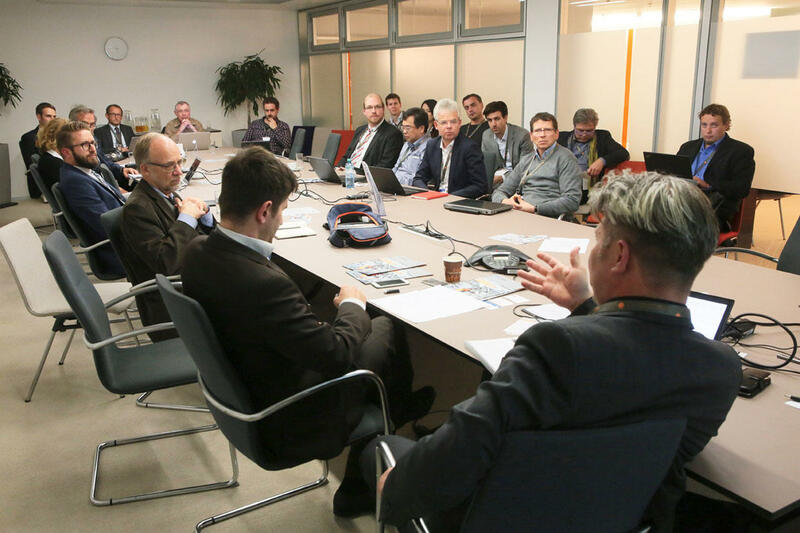 Subsequently a deep dive into the state of the art of Industrie 4.0 technologies for 1) industrial connectivity, 2) communication standards, 3) interoperability was provided. Finally the benefits of industrial Fog Computing with an outlook on the R&D carried out in the context of the OpenIoTFog (openiotfog.org) toolkit was given. 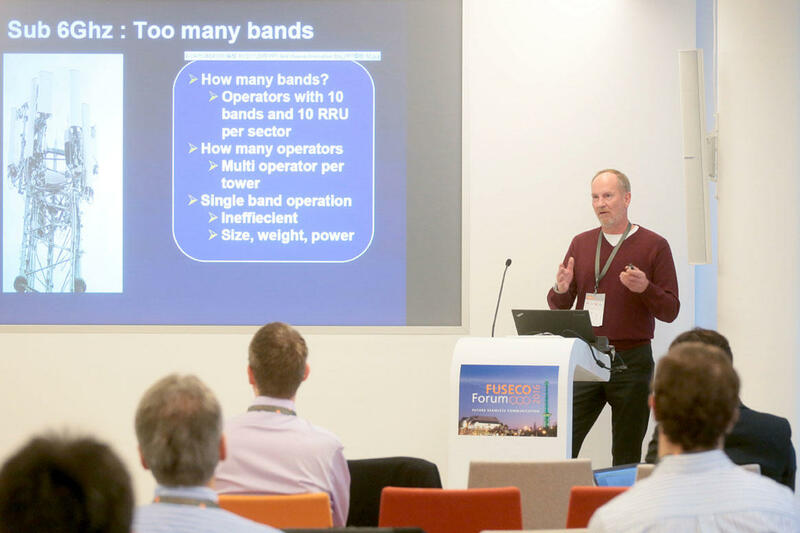 The second part of the tutorial, provided by David Boswarthick, introduced the key goals and challenges of the 5G evolution where the key KPIs of future 5G networks relevant for industrial communication and the concepts of “edge computing" were introduced. The following workshop was split into three parts. During the first part, “ICT for Industrie 4.0/Industrial Internet", representatives from the Industrial Internet Consortium (IIC, Stephen J. Mellor, Chief Technical Officer) and the Alliance for Internet of Things Innovation (AIOTI, Georgios Karagiannis, Huawei, vice-chair WG03) provided an overview of the current standardization efforts. 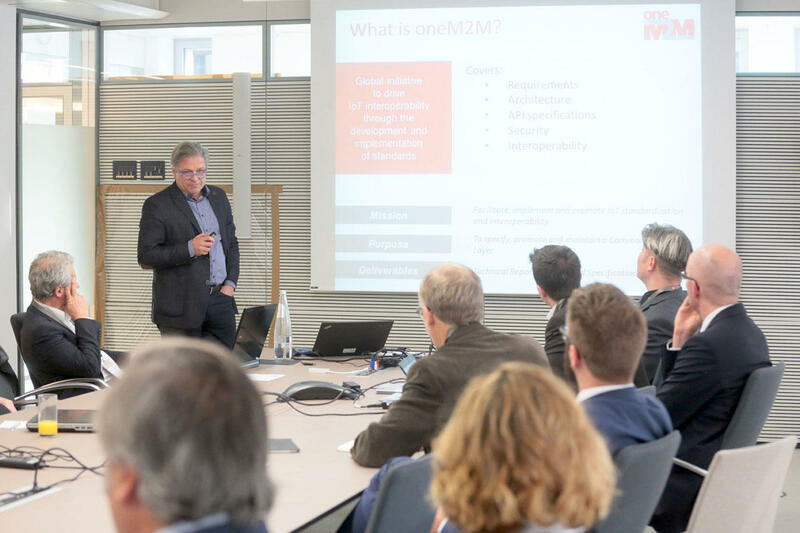 Next, an overview of the oneM2M standard was provided (Hans Werner Bitzer, Telekom Innovation Laboratories) and the OPC UA standard was introduced (Uwe Steinkrauss, Unified Automation GmbH). The session was closed by a presentation highlighting the need for interoperability within the Industrial Internet (Dr.-Ing. Andreas Gössling, Hilscher AG). 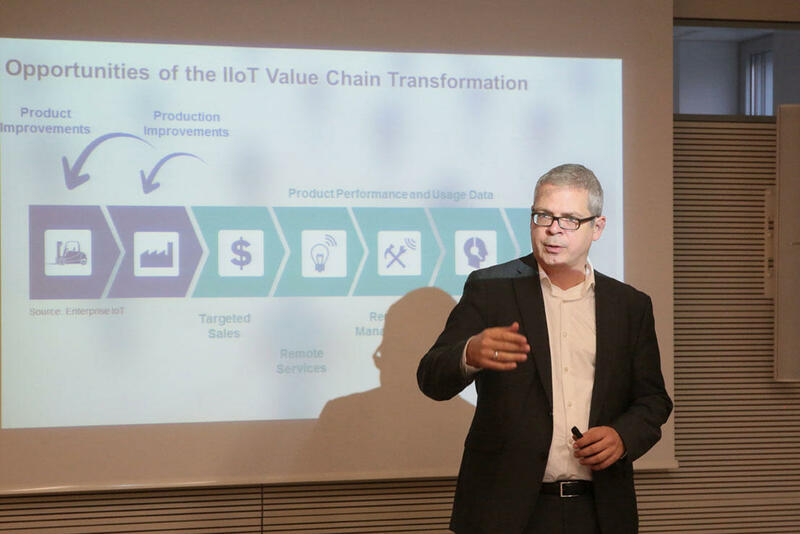 The second part of the workshop themed “ICT Enablers for Industrie 4.0/Factories of the Future" started with presentations about the “interaction model" of Industrie 4.0 components (Prof. Christian Diedrich, Plattform Industrie 4.0), followed by an overview of Bosch's collaborations with the IIC and the Plattform Industrie 4.0 highlighting the re-usable best practices derived from Bosch's I4.0 testbeds (Dirk Slama, Director Business Development, Bosch Software Innovations). 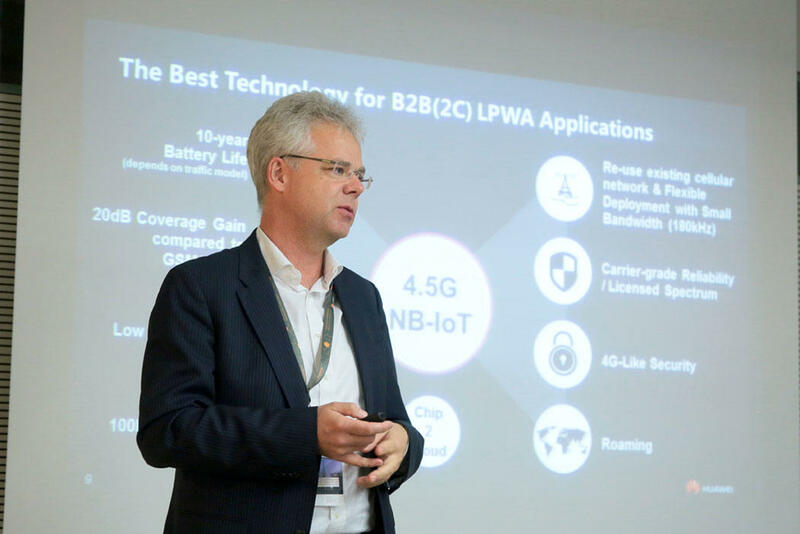 Subsequently an overview of the Telco perspective on Industrie 4.0 introduced the benefits of Huawei's eLTE-/NB-IoT for industrial applications (Jörg Diedrichs, CTO/CP Carrier Solutions, Huawei). Finally, the perspectives on Industrie 4.0 of a German SME were shared (Marco Bauer, Managing Director, BAM Maschinenbau GmbH). 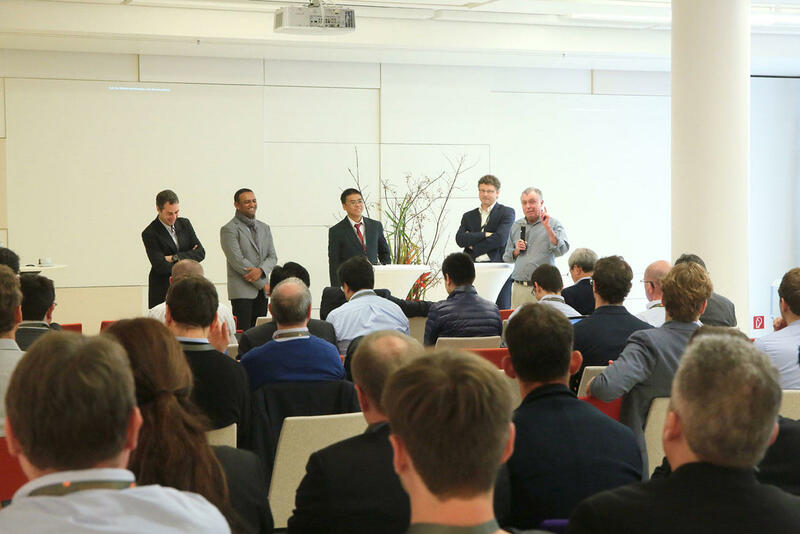 The workshop ended with a lively attended panel discussion where the different approaches from IIC, AIOTI and the German Plattform Industrie 4.0 were compared, the applicability of the OPC UA and oneM2M standards for industrial applications were discussed and the current readiness of 4.5G technologies (NB-IoT vs. ultra-reliable, ultra-low latency communication) and the vision for the 5G evolution satisfying industrial applications' needs was evaluated. 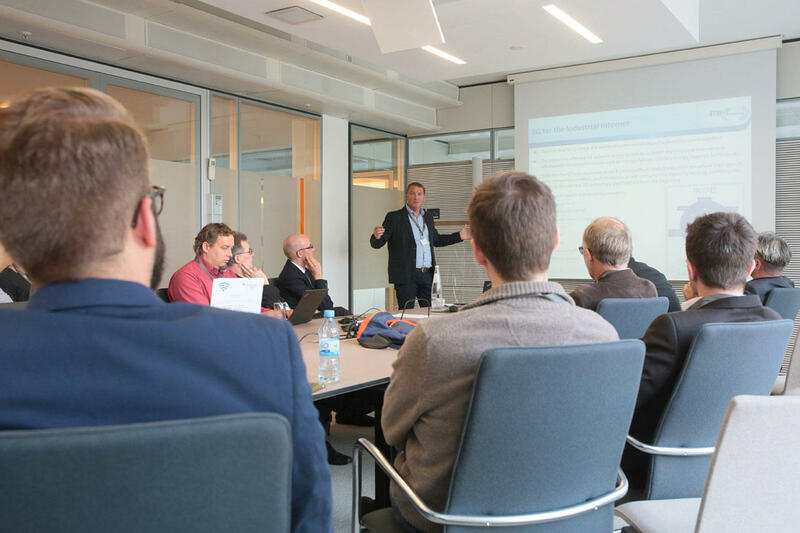 We look back on a very successful tutorial and workshop on communication aspects within the Industrial Internet of Things, gained many valuable insights out of the event, might see a formal collaboration between the IIC and AIOTI because of this gathering and we are looking forward to our next year's event. 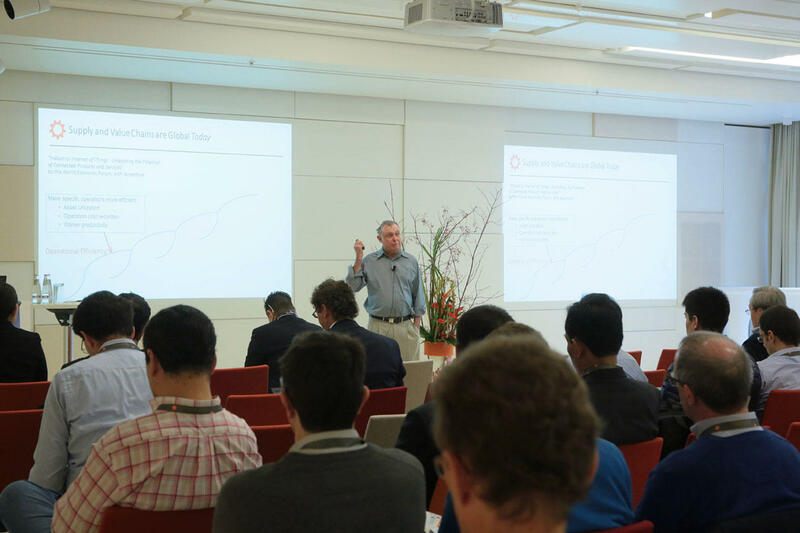 Friday featured the main FUSECO FORUM conference, which was opened, as usual, by Prof. Thomas Magedanz and featured a highly international program uniting the different tracks from the previous day into a single stream. The first session chaired by Prof. Noel Crespi (Institut Mines-Telecom, France) investigated Emerging Value Chains, IOT Applications and Industrial Internet as Drivers for 5G, and featured talks from four continents namely the IIC (Steven Mellor, Australia), Telkom Indonesia (Ibnu Alinursafa), Vodafone (Ralf Irmer, Germany), and Telkom South Africa (Brite Devassy). The subsequent interactive session panel revealed that data will play a major role in the 5G ecosystem and that there are different approaches/slice types in 5G to optimize the transport and processing of data. It became clear that the different application demands can only be handled by dedicated slices, however, big data collection and processing beyond or across slices will become challenging. South Africa and other emerging countries may need a fourth dimension, namely low-cost broadband! Also important was to stress the importance of fixed and fiber networks for 5G. The second session chaired by Prof. Giuseppe Caire (TU Berlin, Germany) looked at "5G Verticals and Enabling Access Network Technologies" and featured talks from the European Space Agency (Herman L. Möller, France), University of Texas (Prof. Robert Heath, USA), and Robert Bosch GmbH (Andreas Müller, Germany). 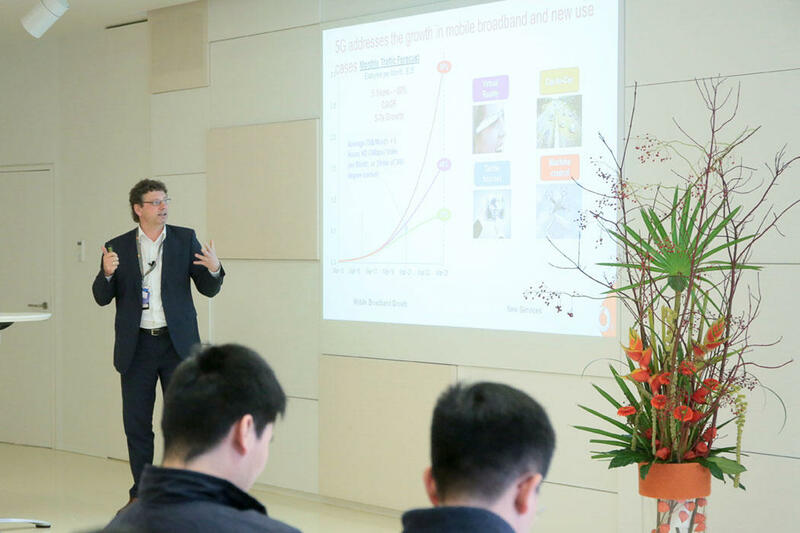 This session emphasized the fact that 5G is a multi-access network environment including satellite networks, automotive networks, and industrial networks. 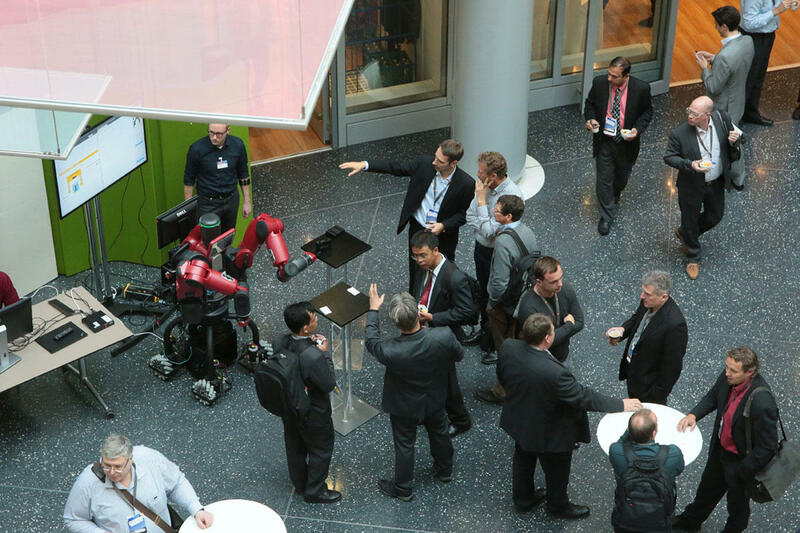 They identified requirements needed for different applications and showed some enablers such as millimeter-wave technology for autonomous driving and factory automation. A subsequent keynote speech on "Business meets 5G" was delivered by Antje Williams from Deutsche Telekom. 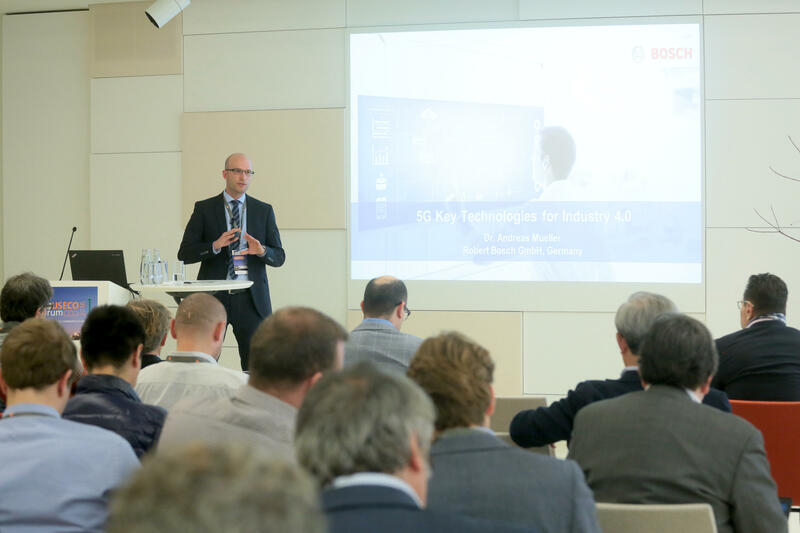 Her key message was that 5G is not only radio and that in regard to 5G softwarization end-to-end slicing for dedicated application domains will become a major challenge. Automotive, eHealth, logistics, and consumer multimedia applications were briefly reflected. Prof. Aki Nakao (Tokyo University, Japan) chaired session three which was devoted to "The Fully Software-based 5G Core Network making Use of SDN/NFV/MEC Paradigms" and featured four talks from Orange (Bruno Chatras, France), ETSI (David Boswarthick, France), Telefonica Spain (Diego Lopez), and Verizon (Billy Felton, USA). 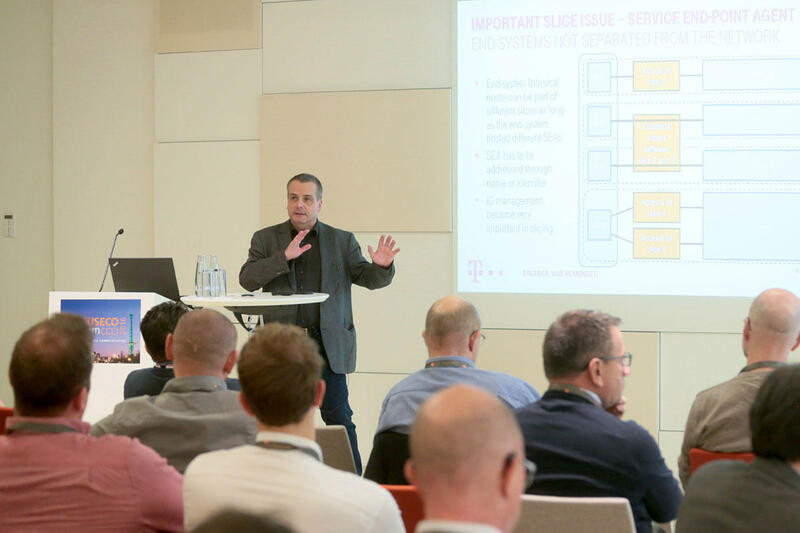 In the session panel, which Hans Einsiedler from Deutsche Telekom joined, the major discussions centered around the needed cultural change to consider 5G as a software platform and to make intense use of open source. 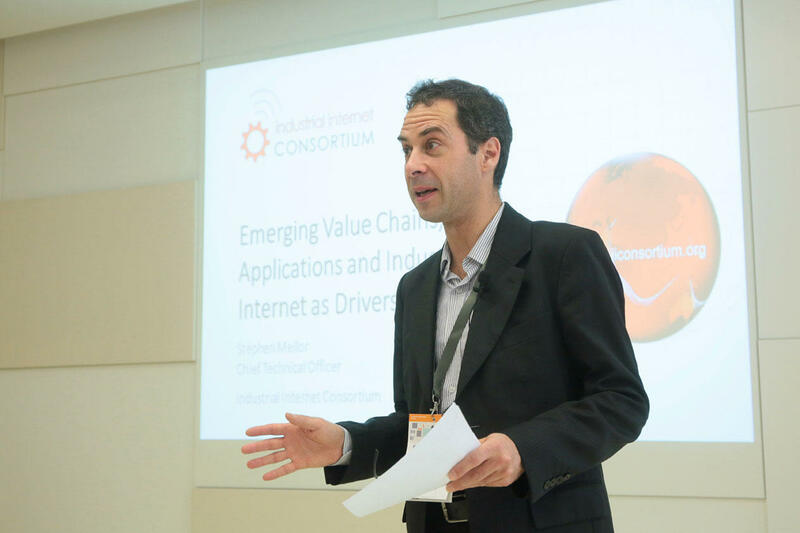 Softwarization is rapidly progressing in existing networks and the commercial rollout of software-based networks already started. It became clear that open source becomes the future and that standards are strongly needed but also diversity in open source software to maintain competition and drive innovation. The last session "First-hand Experiences from International 5G Case Studies and Testbeds" was chaired by Prof. Tarik Taleb (Aalto University, Finland) and comprised four talks; namely from KDDI Research (Fumio Watanabe, Japan), Deutsche Telekom (Peter Feil, Germany), TNO (Jose L. Almodovar, The Netherlands), and Berlin 5G Testfield (Frank Schramm, Germany). In the final panel the different approaches of building open testbeds were discussed and again the role of open source software toolkits was underlined and that strong life cycle management and maintenance/stability of open source software is the key for the future. In many of the talks the FOKUS OpenXXX toolkits were utilized as being considered a solid basis for prototyping.